Garuda is a large legendary bird depicted in Hindu epics as the mount or Vahana of Lord Vishnu. 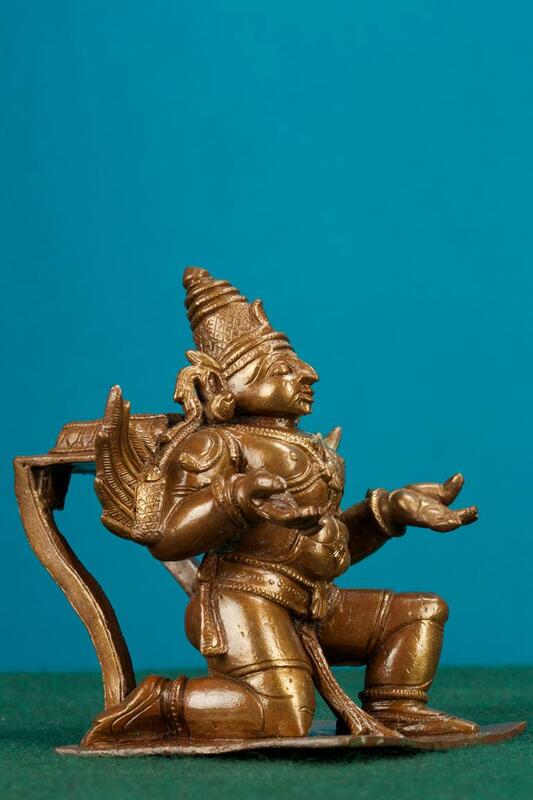 The artifact is a two handed Garuda with spread- out wings and hands. The Garuda is pictured in a kneeling position. The figure also possesses a Kireeta or a headdress.